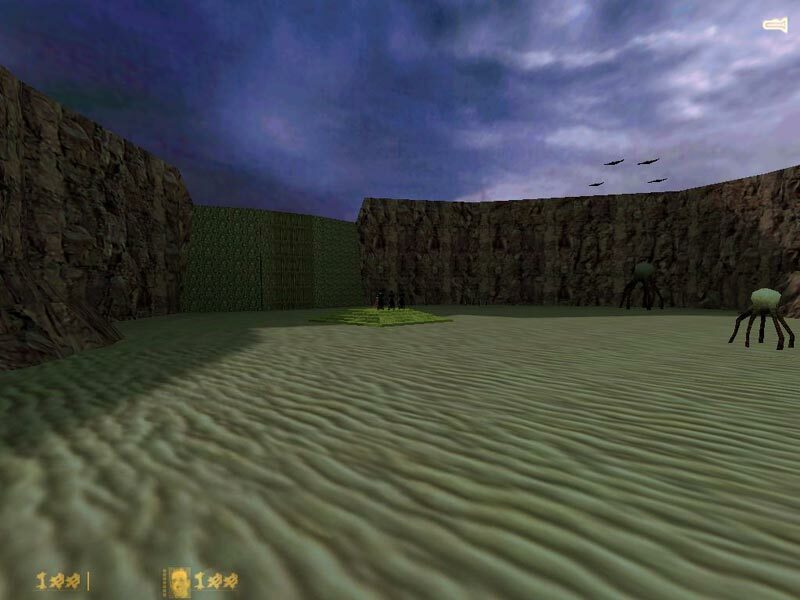 Cthulhu is a single-player modification for Half-Life. It contains 65 maps, 21 new monsters and 14 new weapons. Aeons ago, Earth was ruled by The Great Old Ones, beings so alien and terrible that merely seeing them would drive most people mad. Before man’s ancestors climbed down from the trees, these being were defeated in a war with The Elder Gods. But their alien nature meant that they could not be slain in any way that we would understand, so they were imprisoned. And so they wait, patient and potent until the stars are right and they shall walk forth once again and wipe mankind from the face of the Earth. You play Ranulf Stafford, an occult investigator in Arkham in the year 1928. Drawn into a nightmare chain of events, you find yourself the only thing standing between mankind and the return of Cthulhu, one of the most dreadful of The Great Old Ones. Click on the thumbnails below to open a medium size image. Sorry some of them are a little dark, but of course that’s the style of the mod! Has anyone downloaded this yet….What sequence should one use-Game—>Planetphillip patch—>Steam patch and I would assume to download it into steam/username/half life folder???? I liked this mod. 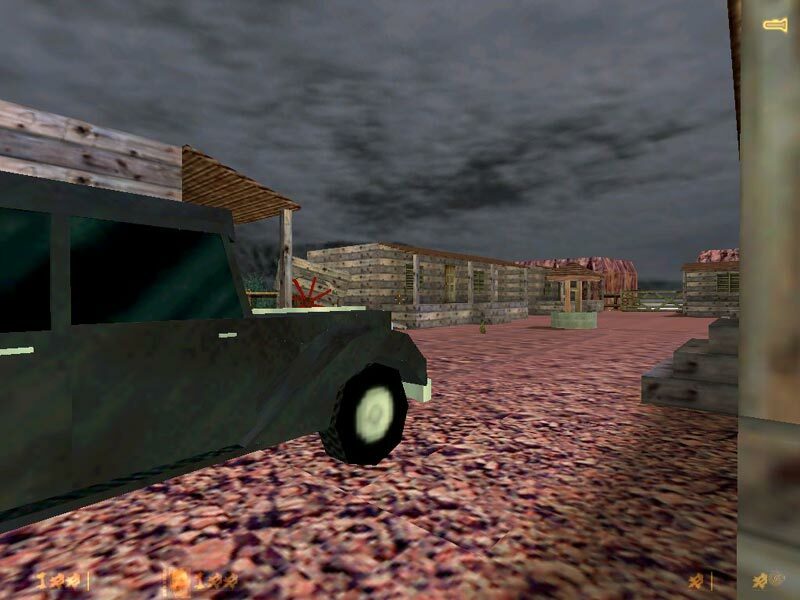 It was fun to play, and I was really into it from the start. Here’s the deal: This guy basically says that there are alien creatures, so alien and so terrible that the very sight of them would drive a person mad. One of his more famous stories is “The Call of Cthulhu”, which revolves around the rise of Cthulhu, a “Great Old One,” who lies dead, yet dreaming, in his prison/temple at the bottom of the ocean in the sunken city of R’lyeh. When the stars are aligned correctly, the city shall rise, Cthulhu shall wake and walk free and mankind shall be swept aside guess what you get to do? I think you know. So you run around in the woods, and to a house, and in a city, just about everywhere. So, in summary, this mod was pretty fun, but you can find better. I have just one complaint so far. He made new character models and new monsters, but he couldn’t change the way the zombies look? I think it looks pretty weird to see zombies wearing lab coats digging out of graves in the 1920s. I haven’t installed this yet, do you need both of the patches that are listed?? Forgot that there was a patch still stuck there is also a room with a large with a pentagram that won’t open? I believe all 3 (if you use steam)files are needed.One is an upgrade and the other is just a fix for steam. Great mod, it’s been a bit of a sleeper for some time. Better the They Hunger 2 but not quite on par with They Hunger 3. Rated about 8.5/10. Go play it’s great fun. I remember I was somewhat disappointed with this one. The read-up sounded great as any Goddess has an interest in the occult. I thought it ended up being a bit “cheesy” & I hated those darn little guys that liked to swipe at your knees. With as many comments, nobody has rated it yet, so I will start the ball & give it a 3/5. How do I run this mod using HL. And it’s console. I installed it. But when I go to custom game. And run it it always says that there is an error with the HL console. Even the patch did not fix the problem. 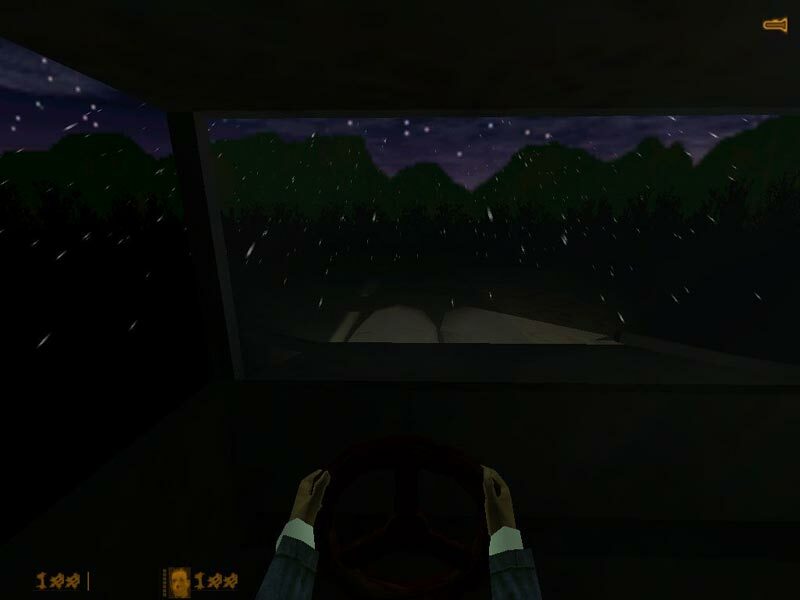 Yes, the Xbox/PC game, Call of Cthulhu: Dark Corners Of The Earth. It’s great, I recommend it too all Lovecraft/horror fans. 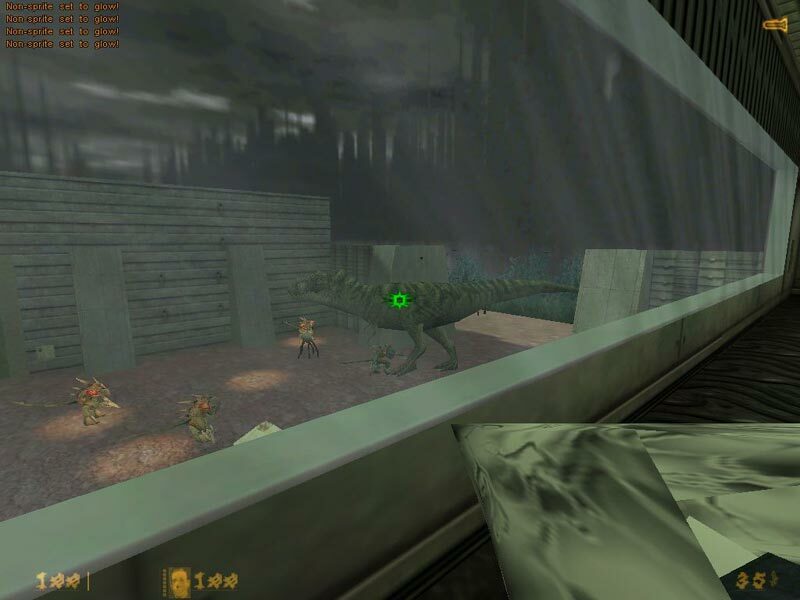 put it in the half life folder. It already is. I installed it there. It just will not run for some reason. 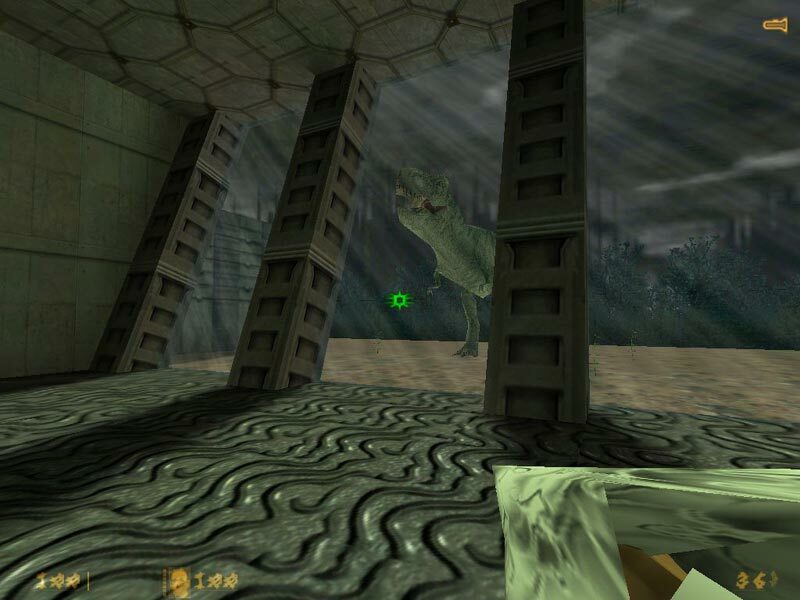 MasterMegid, just out of curiosity, since the author has the download link listed on his website as downloads, do you have the latest version of your Half Life updated to at least 1.1.1.0? Thanks for all the help. I finally got it up and running. I really wanted to like this mod… but it’s just soo cheesy. Still, it’s worth playing for the very neat “City of the Yith” (or “Lost City” or something like that) and “The Shadow Out of Time” chapters (which admittedly come very late in the game). The new models and textures feel slapped together, and overall the quality isn’t that great. 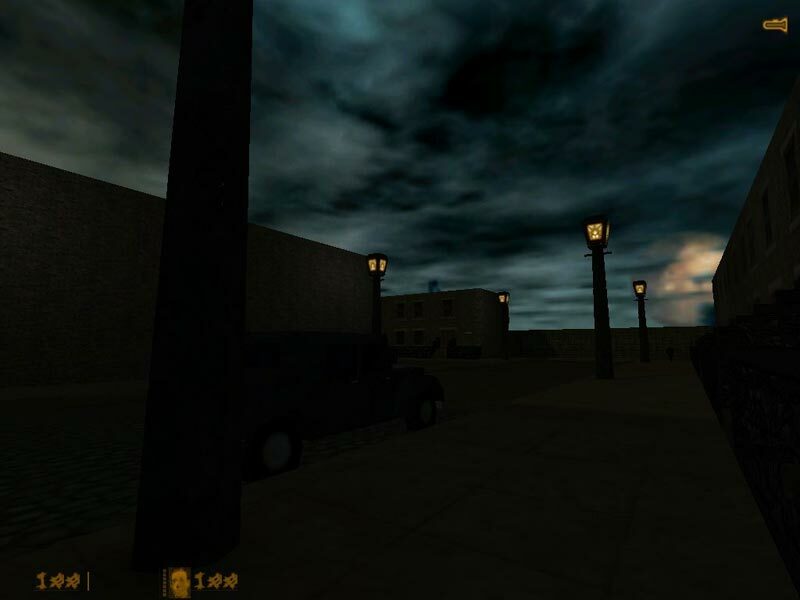 Ive played this mod several times.I really enjoy it even thou it is dark.I like it because it doen’t follow the typical HL mod stories.It actually has a decent story if you follow it.I recomend it if you like things that are not the norm. Yes, I have played through this whole thing. And it can be a bit of a chore sometimes. But in my opinion, this is more than outweighed by the good parts. And with a chore I mean: boring parts, getting lost in a maze, fighting on low health and dying all the time, timed sequences that are hard to do, etc. 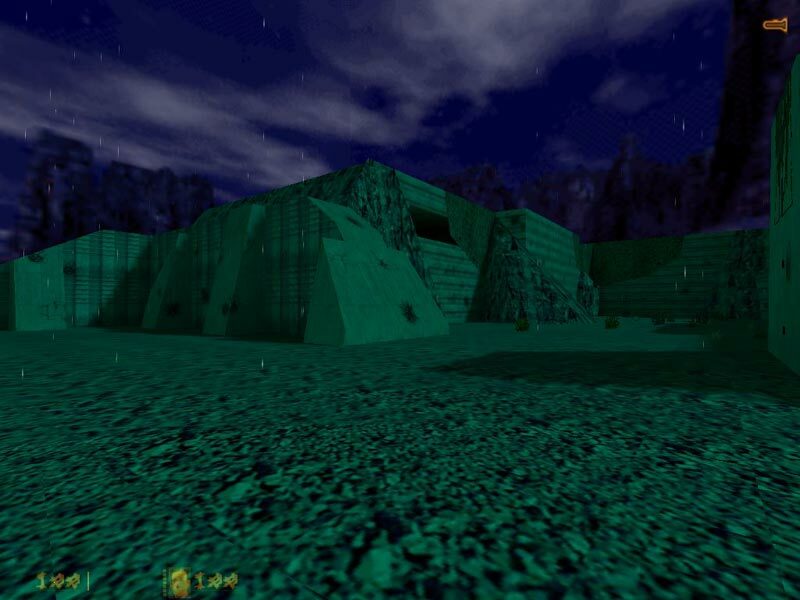 Or waiting for the flashlight to reload… As almost all horrormods for half-life this one has many dark parts, the flashlight works badly, and runs empty all the time… Yes, I know, it’s to create an atmosphere, but still, it gets old after a while. Anyway, let me begin at the beginning: The story. If you know anything about horror and s-f, you’ll know H. P. Lovecraft and his mythology. If not, look it up. Even though I haven’t read much of his stuff, I can tell you that the mod’s story is pretty much in the spirit of H. P. Lovecraft. And the characters are from his books. So that is an original idea for a mod to start with. Also the story is not just background, it plays an important role in the mod. Read the books in the game, that is important to follow this story. This mod is a somewhat less than total conversion. All weapons are changed, and most of the characters. 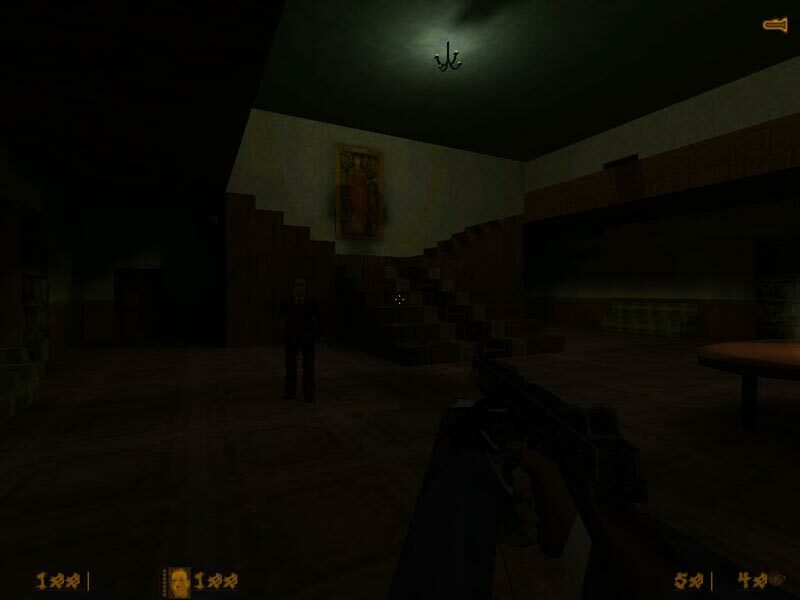 However, you’ll also find some original half-life characters. And I have to agree with what the others said about this, it looks out of place, and also detracts somewhat from the story. The elevators for example don’t make much sense in 1828. The only place it belongs, the half-life stuff, is later on, when you’re in the city of Yith. It’s an advanced civilization, a couple of million year’s ago. Also, while original and in style with the year 1828, the weapons can be a bit annoying too. They take forever to reload, while some of the enemies tend to be pretty fast. On the whole however, the conversion looks good, and is consistent, and in line with the story. Doesn’t matter if a lot of it is borrowed. Enough about the gameplay, now the technical stuff. I’m a player, not a developer, so I don’t know anything about textures, alignment, triggers, entities, and all that. But I can say something about the stability, that is bugs and crashes. If you’ve done the patches, there shouldn’t be any bugs anymore. I think it crashed on me once, during the whole mod, and I couldn’t repeat that. So it’s very stable, and bug-free. 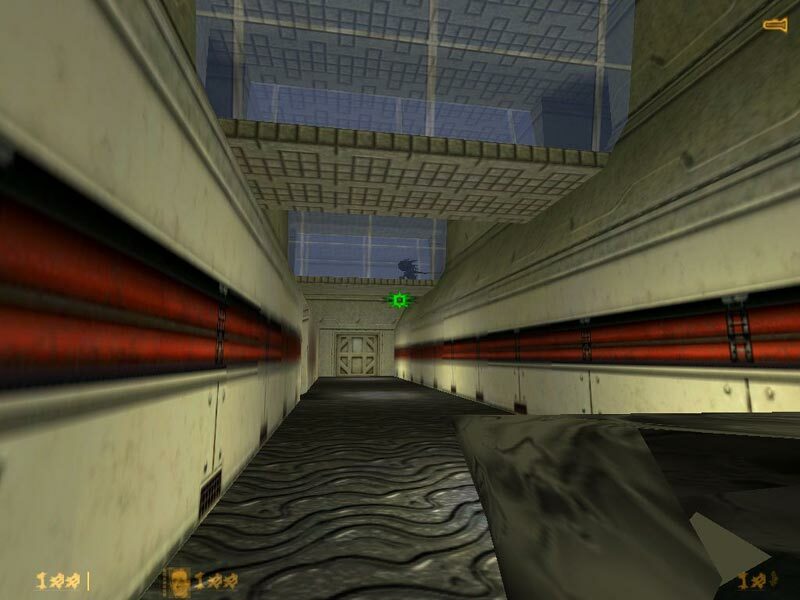 You will get stuck on elevators or in corners, and you’ll sometimes see enemies getting stuck, or behaving oddly, but that’s just half-life. This mod’s clumsy design is quickly evident. During training, your deep-voiced mentor switches over to the standard scientists” “don’t bother me, Gordon,” which is not your characters name. After training at your mentor’s mansion, you begin the mod only to have to go right back to your mentor’s mansion merely to read an ordinary note. At your next destination, a house in the country, the design is …rudimentary. There are a lot of empty rooms ro search. When you exit one, its open door keeps you from going to the next room until several seconds later when the door closes. A big deal? Not really, though when there are a dozen rooms to explore it does cause the mod to drag. Worse, there’s no reason for it. 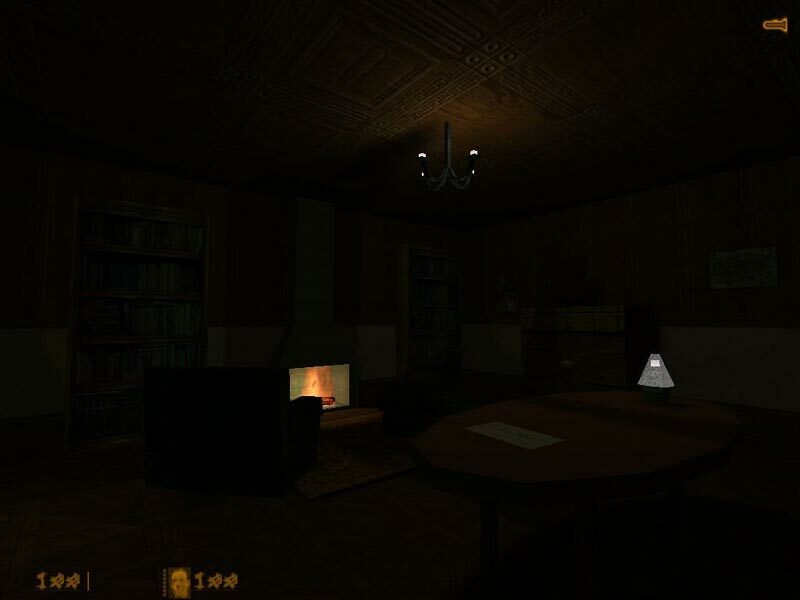 Then there’s a zombie in the house’s dark attic, but apparently nothing else is there. I just didn’t find anything that I enjoyed here, and with no logical path to follow decided to get on with it and download the next one on my list. Then there’s a zombie in the house’s dark attic, but apparently nothing else is there. 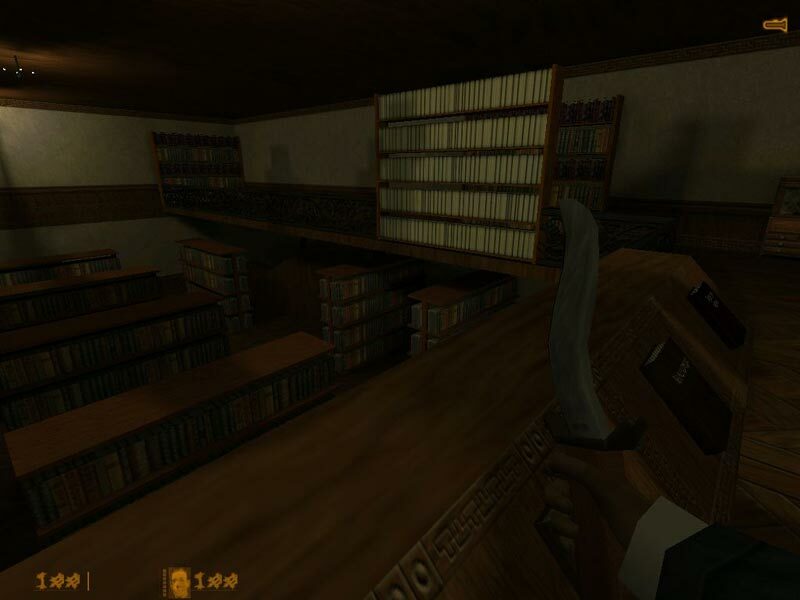 There’s a weapon (a swordcane) in a room on the ground floor. It’s on a little table somewhere. Basically it is true what you say. However it does pick up later. 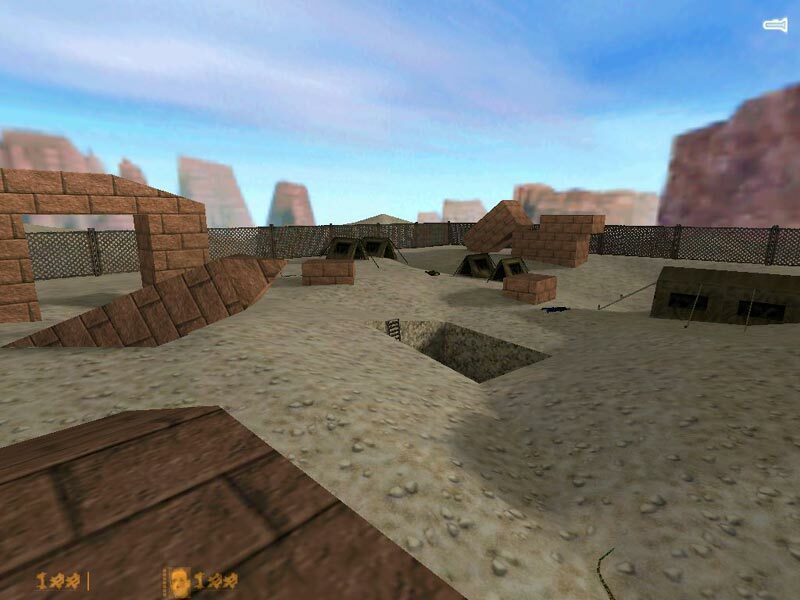 I guess he was still learning when he made the first maps, a lot of mods have this. You can see the maps getting better as you go along. Thanks, Ripper. Maybe I’ll take another crack at it. …It ceases to astound me how low people’s standards are nowadays. This mod is AWFUL! Ugly models, little direction (just how am I supposed to go to this guy’s house at the beginning when the only clue I have as to which house I’m supposed to go to is finding the locked door with no apparent means of unlocking? 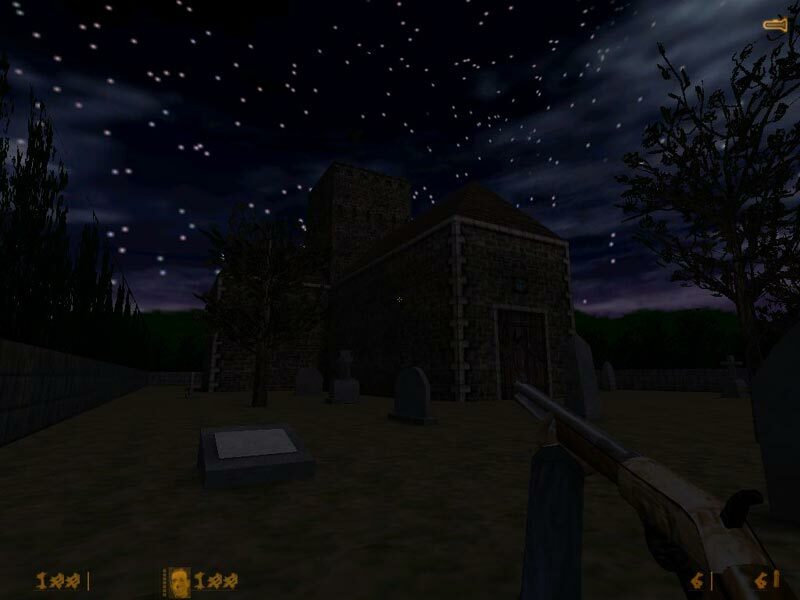 ), an almost non-existent story that’s strung together by small maps speckled with arbitrarily-placed enemies like Half-Life zombies, invisible walls, black blobs for crosshairs, plenty of audio oddities (Did that cultist scream “medic”? And why, if I’m bashing a crate with a sword cane, am I hearing bullet ricocheting sounds? ), and…why did I just pick up that diamond thing that floats over people’s heads in The Sims? And what do I do now?! Ya pick it up, and you’re just trapped in that room! C’mon! And why do I have a flashlight?! Did they have flashlights in 1928?! There just isn’t anything good I can say about this, except someone had the idea to make a Cthulhu mod. There’s one last thing I’d like to point out: It’s called “Cthulhu”. 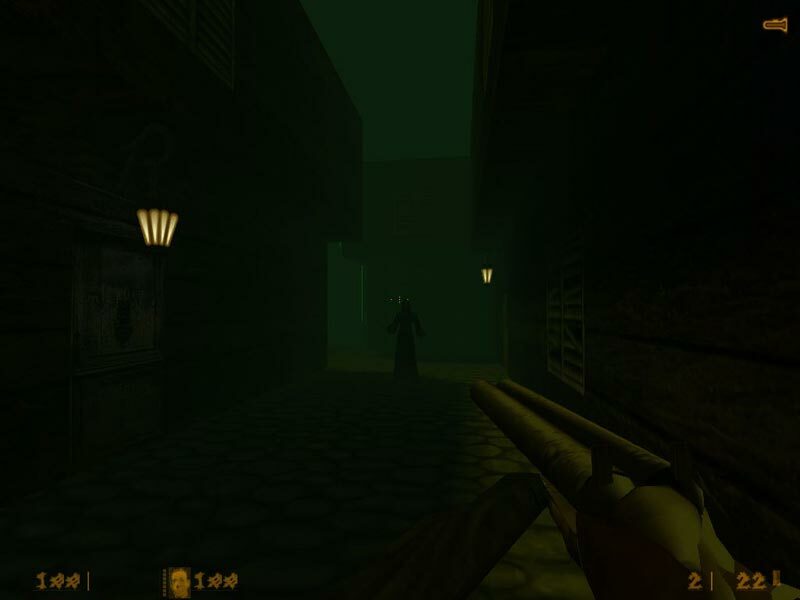 Not “Call of Cthulhu”, just plain old “Cthulhu”. Hmm. A good mod, burgeoning on the excellent. Let’s get the downsides out of the way first. It’s similar to they hunger in that you only have health not armour however unlike they hunger instead of facing a lot of zombies in this the early enemies have guns which makes this a lot harder, in addition the enemies always seemed to spot me early and came enmass, combined with the slow reload time of the weapons meant I died alot. Things get easier later on perhaps a little too easy. 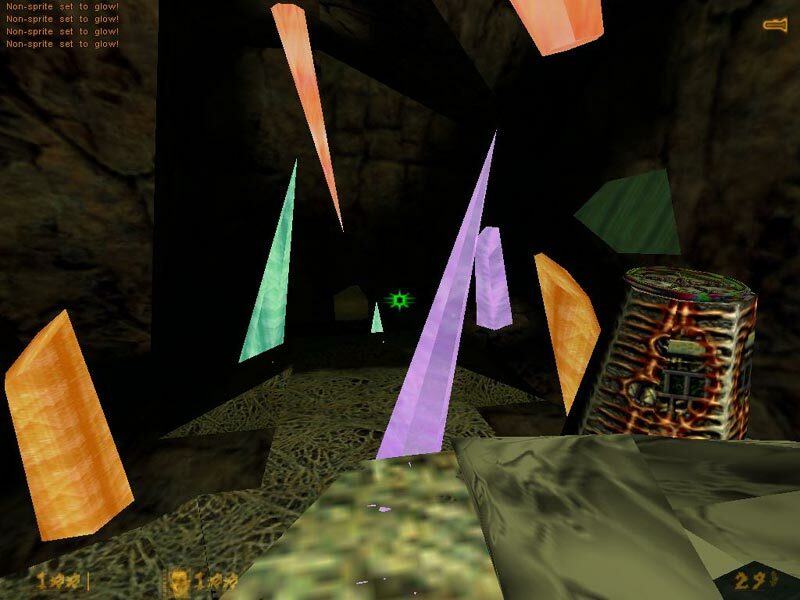 The other problem is the puzzles, maybe I spoilt the game a bit by consulting the walkthrough a little too frequently but when you get stuck it tends to be while in a maze which magnifies the problem. Anyway still a good to great game, main appeal is the LOTS of different enemies, locations and weapons all of which are very well done, gameplay isn’t the best but certainly not the worse. If like me you’ve never read lovecraft then do what I did and read some between game sessions it certainly adds to the experience to see where all the game elements come from. In conclusion, some balance issues but a good long mod with a lot of nifty new elements and captures the mood of the lovecraft stories very well. 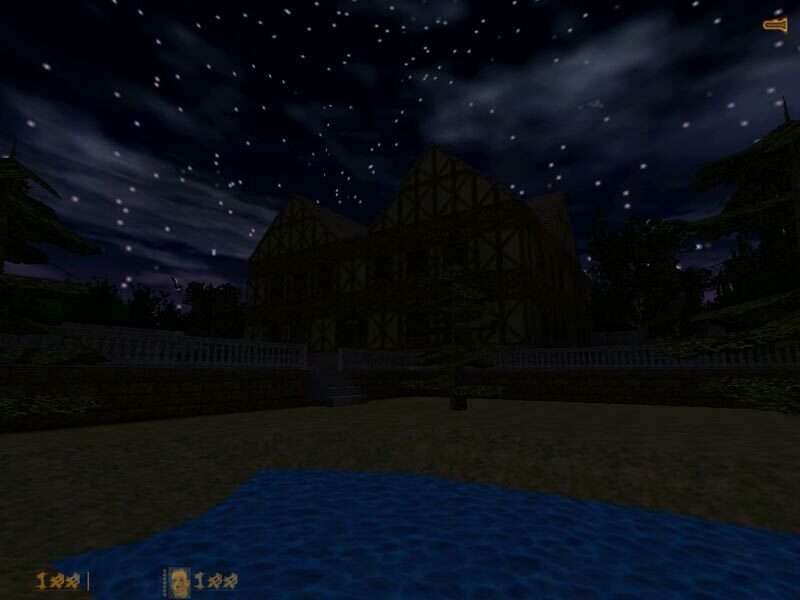 I never found the lovecraft stories scary but they were creepy ans thats just like this mod. I tried to download the steam patch but theres a goddamn trojan in the file. Mixed opinions on this mod, some of was kind of fun and interesting but mostly boring and the cultists and mobsters sound kind of dorkey and stupid. I guess I didn’t need the steam fix after all, just transfered it another comp and worked fine. Did anyone have any problems with the trojan in the steam fix file. Overall: If you’re an old-school gamer who can look past the graphics, you should get this mod asap. The “zap” gun, an alien gun in the shape of a tinfoil cone, may look ugly. But I’m incredibly sure that’s the “gun” from the 1970’s movie based on the book, The Martian Chronicles. A nice little reference to a great series. Hey guys. I’m stuck in the warehouse with the big green monster. I haven’t any dynamite more and I have 0 % “H.E.V-Suit energy”, so I can’t use the books and cheats don’t work. Hi, why I can’t download steam patch? excellent mod, well worth playing. hours and hours of gameplay, longer than almost any other mod that I can think of. Beat on HARD setting, ready to go again, then to recommend using “quick save” lots of times if attempting to play on the hard skill 3. Although perfectly H.P Lovecraft inspired, you need to be quick and vigilant to survive the horrors that come with Cthulhu. Good 10/10 to the author. Cthulhu is a MUST for those loving the works of H.P. Lovecraft. It is a relatively long Mod. The story herein is pretty accurate compared to the lore. It’s very easy to install/extract, and to patch is important to fix bugs. The file-cloud servers appear to be down, however the author was kind enough to provide a link to his homepage which contains links to the Mod and the Patch at the very top link above the file-cloud links. 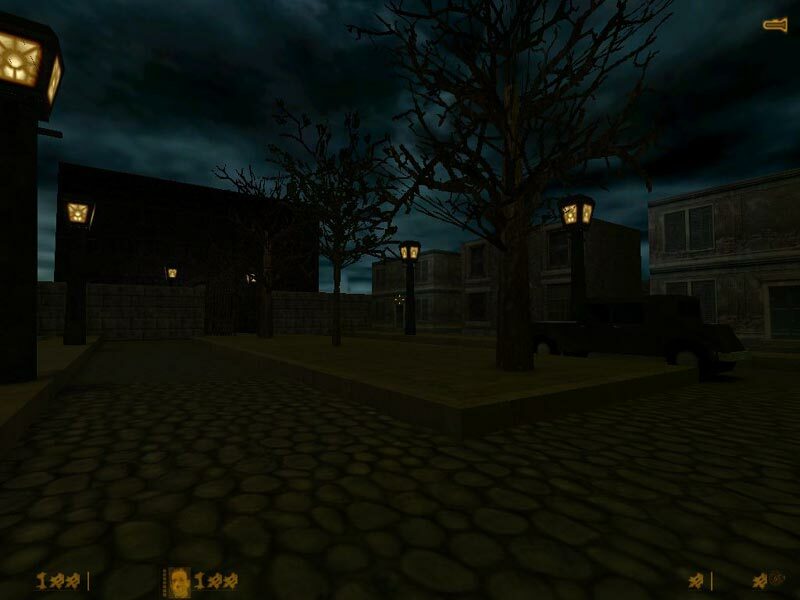 Thanks to the author and I do wish he or someone with knowledge of Cthulhu Mythos would create another Cthulhu-based Mod for possibly Half-Life 2 or even EP1/EP2. I strongly recommend playing this mod.